Hey y'all-hope you're having a fantastic weekend! 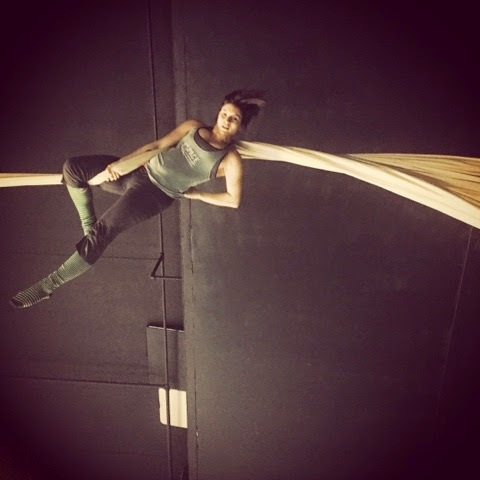 I wanted to share with you a new workout obsession of mine-AERIAL! I found this new place just around the corner from our house that offers yoga, dance, flow/hoop, trapeze, and fabrics classes! I tried the Intro to Aerial class last weekend (a requirement for those who are new to it) and had so much fun! The instructors and other ladies at the gym were so encouraging and supportive-definitely necessary when you're hanging upside down from the ceiling feeling somewhat like a whale strung up by its fins. 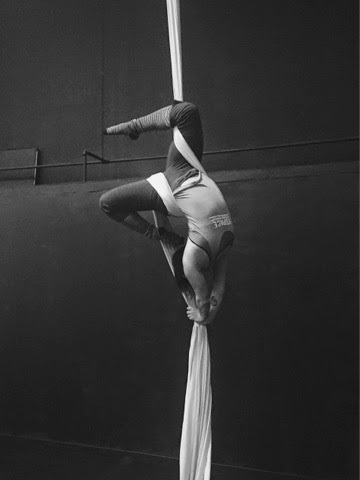 We covered a bit on fabric, some on trapeze, and my amazing instructors got me back to doing handstands. I know it sounds ridiculous that I could be THAT excited about doing handstands again but it has probably been about 10 years since I've done one. For only $20 a class, it's entirely worth it to feel all the muscles you didn't know you had. Check and see if there's an aerial studio in your area and if you're in Atlanta, go visit the ladies at The Space.